Keep pace with constantly changing technology with the versatile X42i charging cart. 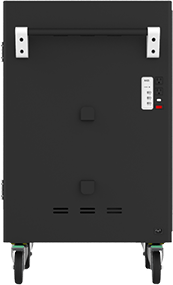 Perfect for managing devices for larger classrooms with the latest and most advanced intelligent charging technology. 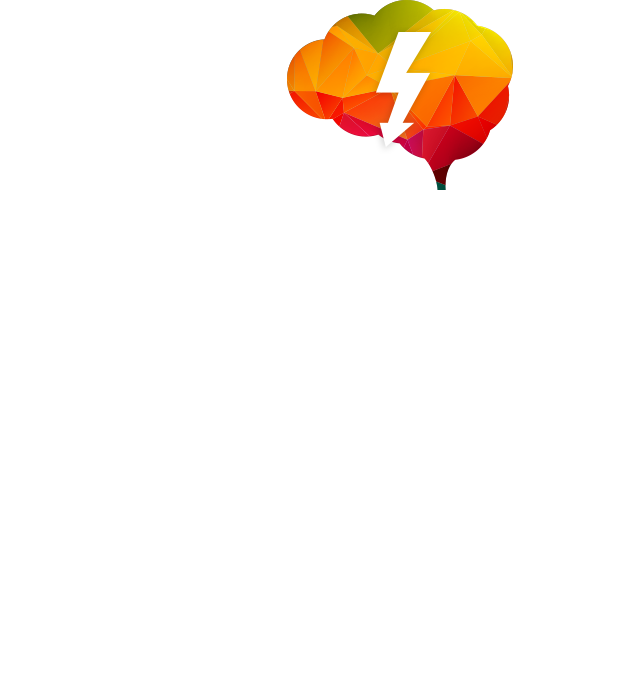 Make sure devices are charged and ready for every subject, and support additional classroom technology with our most advanced charging technology. 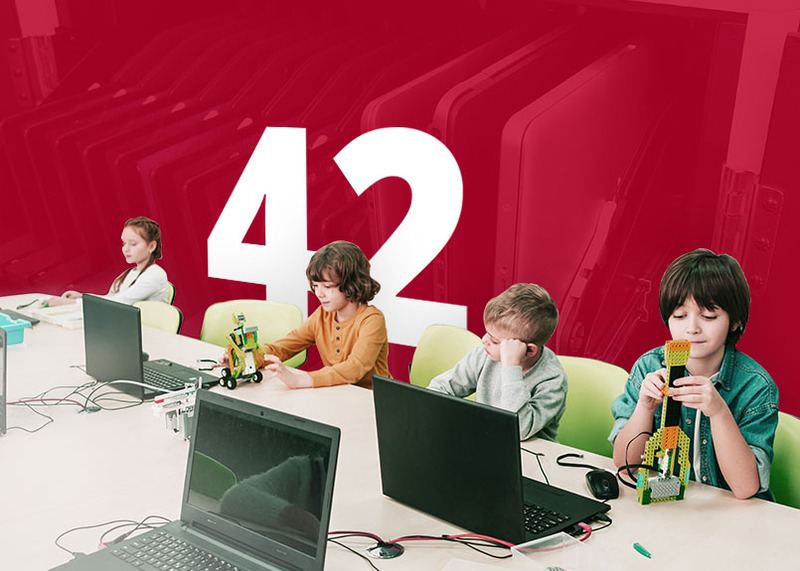 The X42i charging system constantly evaluates which devices need to be charged and reroutes power to concentrate on those device groups. 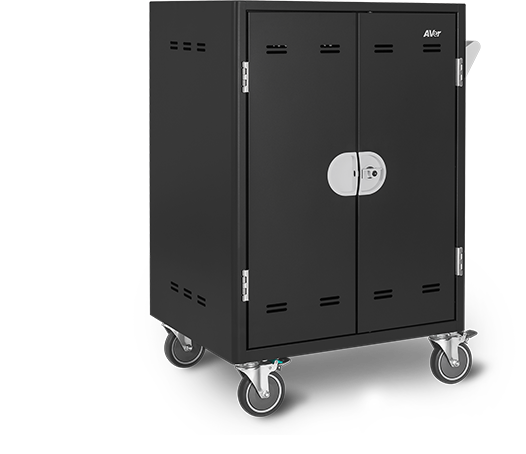 The X42i charging cart comes fully equipped with AVer’s patented cable management system. Cable clips help keep power cables in the right slot, and adjustable dividers allow modification of slot size to accommodate larger devices. 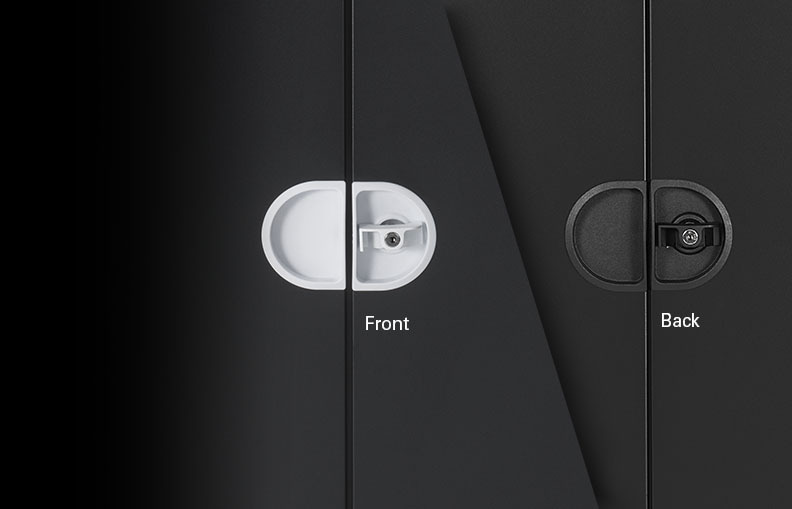 Have peace of mind knowing devices are safe and secure with front and back combo locks. 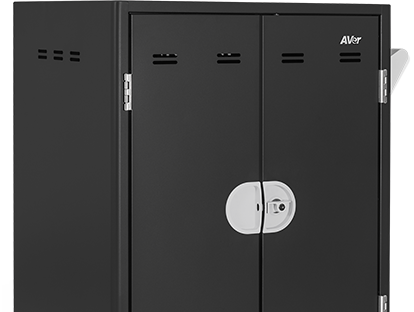 The locking back door can also safeguard against additional hazards to ensure students are protected. 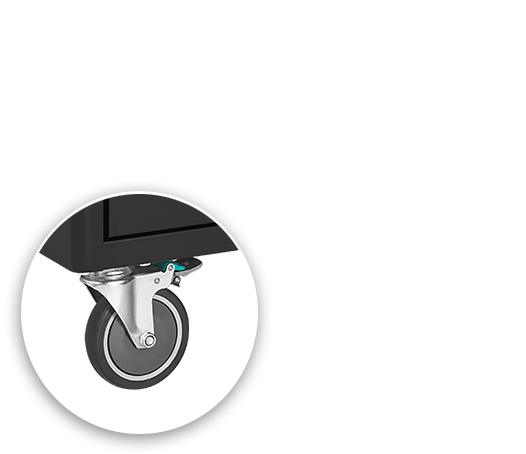 The X42i charging cart comes equipped with directional casters for smooth mobility from classroom to classroom, or lock the wheels of the X42i to keep it secure in place. 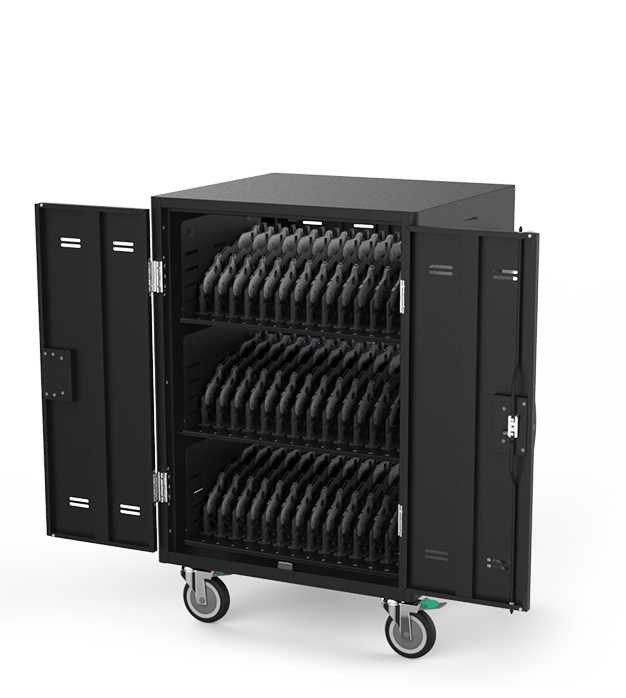 Designed to support more devices, the X42i charging cart can manage up to 42 laptops, Chromebooks, or tablets to be shared between multiple classrooms for 1:1 learning or BYOD. 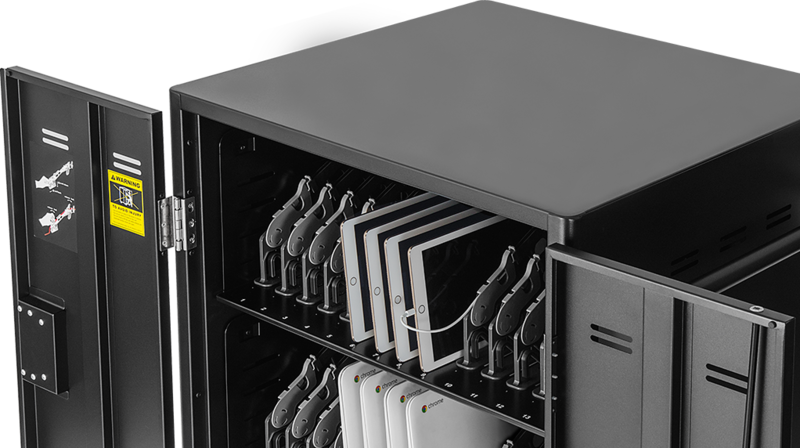 Each shelf supports 14 devices with numbered slots to keep devices organized.